Student loan debt has become one of the most undeniable facts of going to college. For most students, there’s simply no other way to get in the door. But does that mean that student loan debt has to hamper the very future the loans were supposed to help build? Yes, graduating with student loans means the certainty of having to repay them (they’re notoriously difficult to discharge through bankruptcy). But that doesn’t mean borrowers are without repayment options — some of which can make these loans easier to handle on a monthly basis. The problem is that we don’t always know about these options, or even understand that we can change our student loan repayment plans at all. Here’s how you can change what you pay on your student loans if your monthly debt load is becoming too overwhelming. When you put the words “federal” and “loan” together, thoughts of flexibility and ease don’t exactly come to mind. In fact, having a loan come from the government makes it sound about as official — and permanent — as possible. In the case of student loans, however, being backed by the federal government actually provides more flexibility than private lenders. You just need to know what your options are. Here are all the different federal student loan repayment plans, and how you can go about changing yours. For a full list of plans and eligibility, reference the table here. You can apply for income-driven repayment plans by going to StudentLoans.gov, whereas changing to the Standard, Graduated, and Extended plans must be done through your student loan servicer. It’s important to note that you must reapply for income-driven repayment plans every year if you want to continue on one of them. That’s because the payments are calculated from your annual income, which can change from year to year. You’ll need to reapply even if nothing in your situation changes. Finally, there are two more options if you need them: Federal student loan deferment or forbearance. Deferment and forbearance both pause your payments for a limited amount of time, though you might still have to pay the interest on your loans during that time. This all depends on what type of loans you have and whether or not you qualify, and you can find out more about both of these options here. 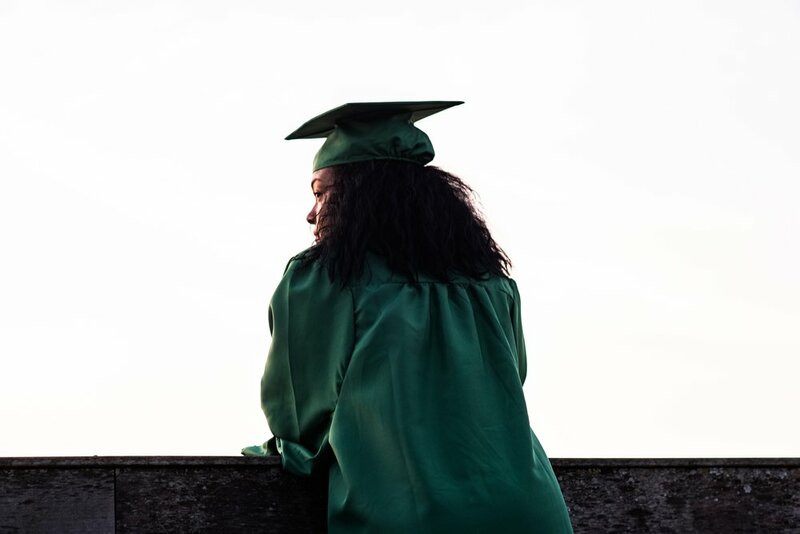 If you’re truly struggling to repay your federal student loans, income-driven repayment plans could become exactly what you needed to get your head above water. But that doesn’t mean they don’t come without risk. Income-driven repayment plans lower your payments, which helps your budget but can also keep you in debt for a longer period of time. Therefore, using one of these plans could mean that you’ll pay more over the life of your loans than you anticipated. Many of these plans enable you to apply for forgiveness of the remaining balance on your loans after a specified period of time. However, you might have to pay taxes on that amount the year the balance is forgiven, since the forgiven debt is treated like income. Forgiveness eligibility is at the mercy of the government, as those waiting on Public Service Loan Forgiveness have recently discovered. Using an income-driven repayment plan just so you can have your loans forgiven later puts you at risk of losing that option if the law changes. These plans should only be used if or when you can’t afford your payments. Now, let’s talk about what happens if you carry private student loans. Unfortunately, these loans aren’t all that different than a mortgage or auto loan in that your lender determines your repayment options. There is no federal affiliation with these loans, and, thus, federal student loan repayment options (including forgiveness), don’t apply. The easiest way to find out what payment programs you might be eligible for on your private student loans is to review your lender’s website or call them on the phone. Some private student loan lenders have hardship programs that they offer to borrowers who are struggling to replay. From their standpoint, it might be better to work with such borrowers than risk default. Some even offer deferment or forbearance, enabling their borrowers to halt their payments temporarily. That said, if your private student loan lender won’t work with you at all, you have another option: Student loan refinancing. Just like auto loan refinancing or mortgage refinancing, this would be the act of getting a new loan to pay off your old one, ideally with better terms. Those better terms can mean a lower payment due to lower interest rates or a longer repayment schedule (the latter of which would keep you in debt longer). There are quite a few student loan refinancing companies these days, such as SoFi and CommonBond. If you know this is an option you want to try, you can apply for prequalification for several at one time, and then only do a full application for the loan that offers the best terms for you. As much as student loans can feel out of our control, doing a little research can turn up options that make a huge difference. The key is to stay on top of programs like these, utilizing them when you need them (even if a bit of paperwork is involved … or a lot of it), and paying attention to legal changes that might affect your loans for better or worse. Just like a college education, your finances are what you make of them. This is your chance to practice taking control and optimizing your financial life to the max.